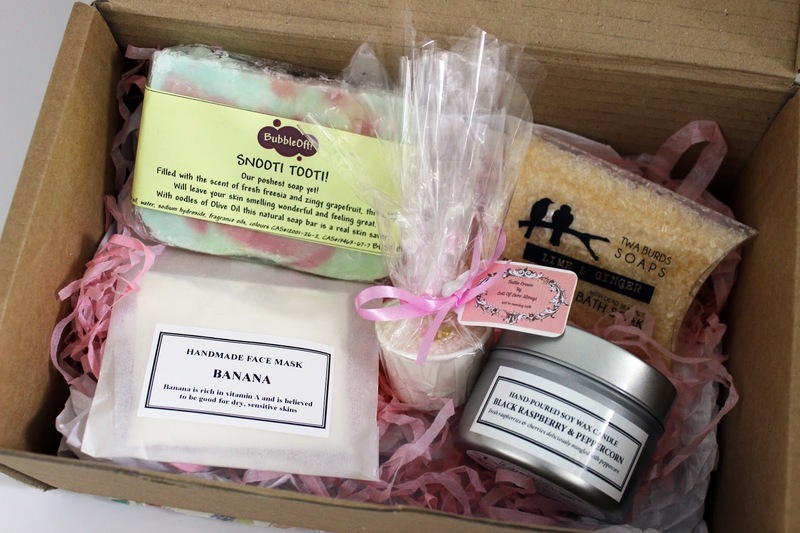 The NEW heavenly box full of bath time treats you won't want to miss out on! 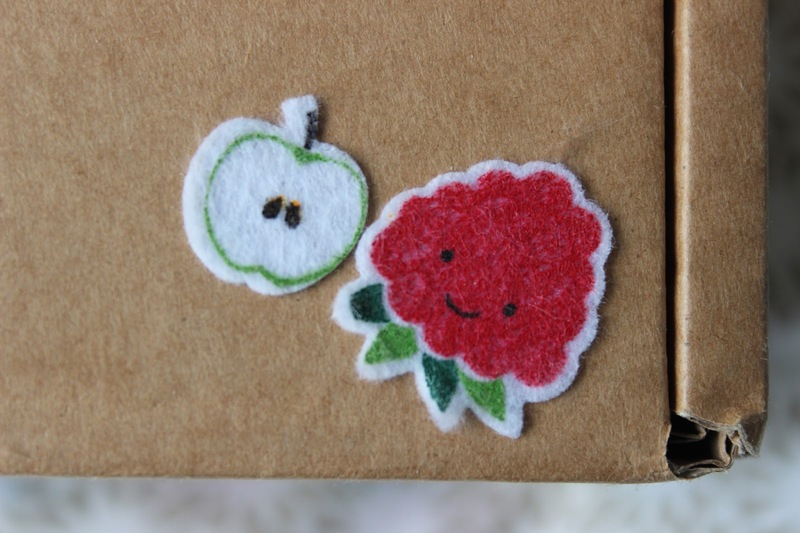 Yes, these are adorable felt fruit stickers! Today's blog post is something which I'm very excited to share with everyone. This is a promotional blog post as well as an honest review of all products. All opinions are as always, my own. 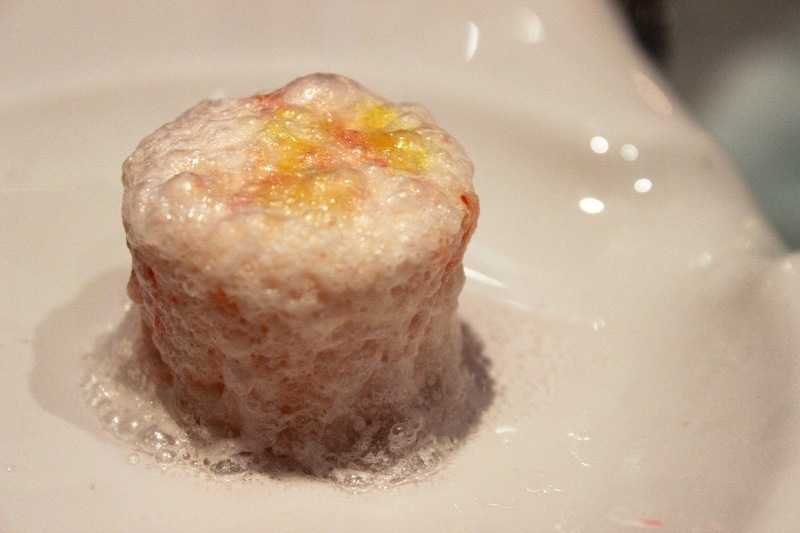 A few weeks ago I discovered a new up and coming company called 'Love of Bubbles' which instantly caught my attention. From being a huge lover of self indulgence, I knew this was a perfect opportunity to find out more. 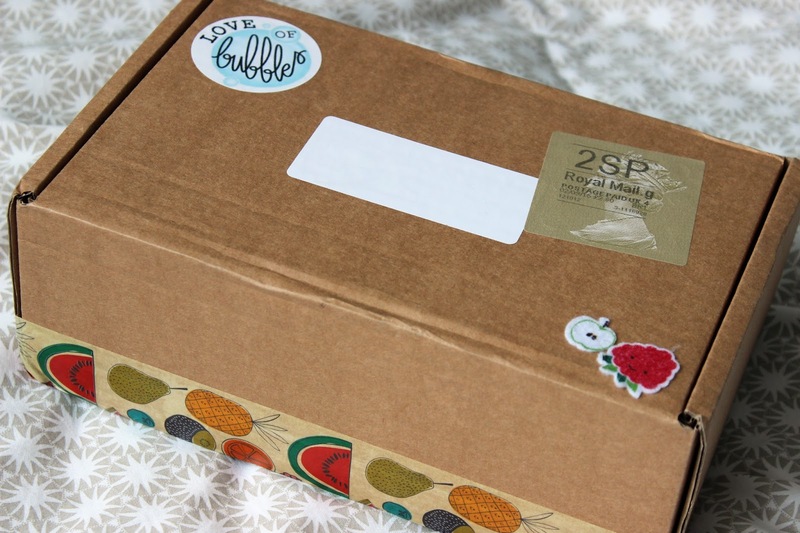 I was ever so kindly sent Septembers' box of treats for the launch of Love of Bubbles. As a newcomer to subscription boxes I thought this would be ideal to try. One of the great things and what makes this company unique is that there isn't a monthly rolling subscription fee. You can pick and choose which boxes you want, almost like a pay as you go service. Each month there is a brand new theme, this month's theme is 'Tooty Fruity'. 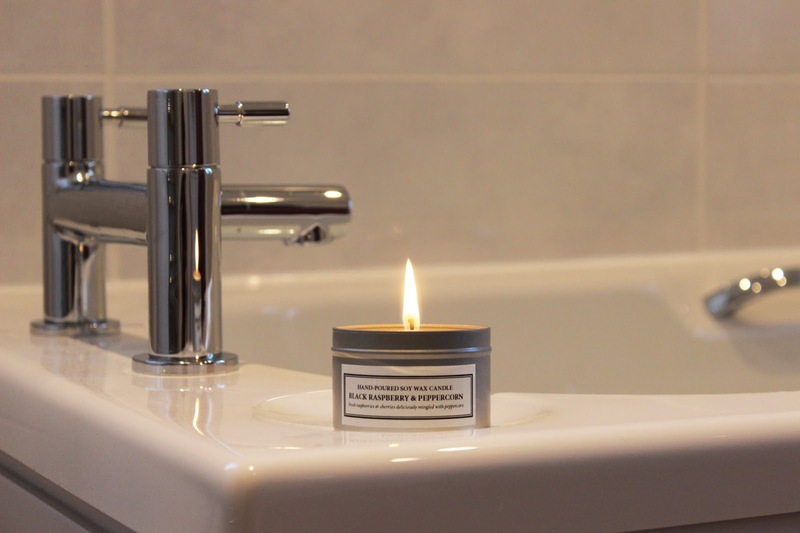 Each product is hand picked and tailored to suit the theme of the month. The contents of each box will feature 5-7 full sized products. Yes I really did say full size! All products featured in the boxes are vegan friendly which I think is a very important factor when buying health and beauty cosmetics. 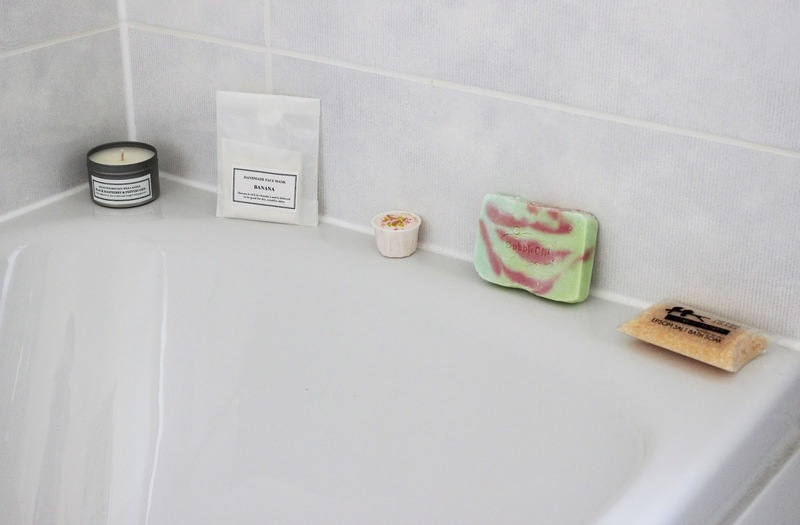 The variety of bath products include; bath bombs, bubbles, fizzers, soaps, face masks, and candles! Always a lovely surprise in the post as you never know exactly what you're going to get. 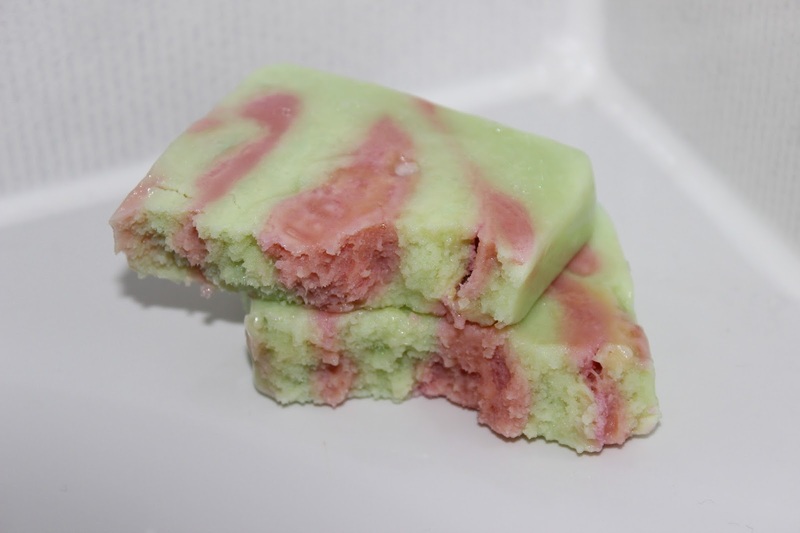 I was unsure of trying a new soap as I have my current favourites and sometimes don't like being brave with new products however with the grapefruit scent and the pretty green and pink colour pattern I found myself wanting to test this product first. 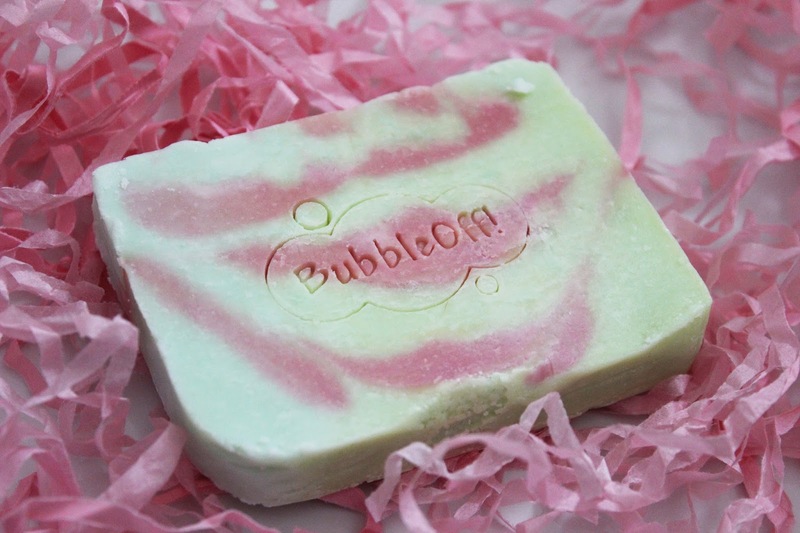 I found it was very soft to the skin and lathers well with lots of soapy bubbles. It did leave my hands with a slightly squeaky finish however they were ever so soft afterwards which was unexpected! I had no idea what a bath cream was before using this one but oh my, I think I'm in love! A bath bomb mixed with a bath cream! As the bath bomb fizzes it turns into a super soft gorgeous strawberry cream. 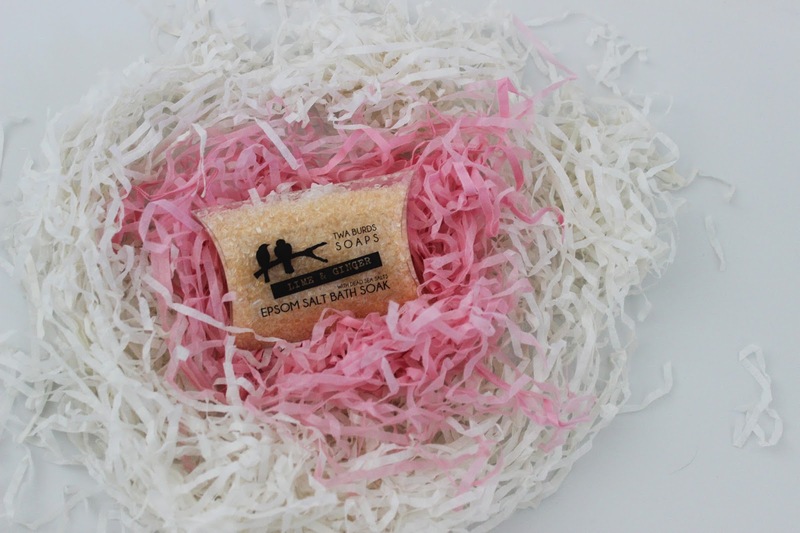 Not to mention how gorgeous the packaging for this little product was, almost good enough to eat! 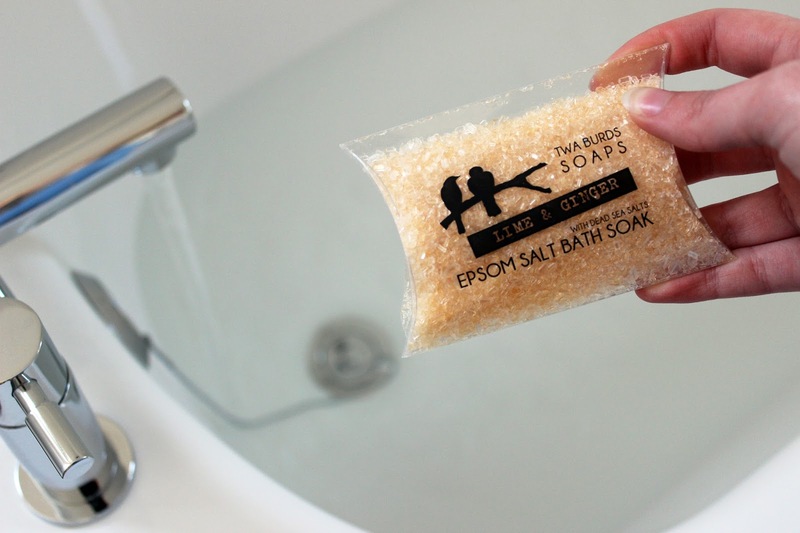 The only down side is the product is oil based so you find yourself slipping in the bath a little! Firstly, I really hope someone appreciates my creative skills of making the pink and white streamers look like a birds nest (hence the name of the company). Thank you for scrolling back up. Secondly, I really liked the combination of Lime and Ginger. I really like bath salts because they are just like sprinkles of fairy dust for your bath. Unfortunately this product really wasn't for me. Banana is one of the only fruits I dislike. (I ate far too many as a child!) However, I did give it a go! 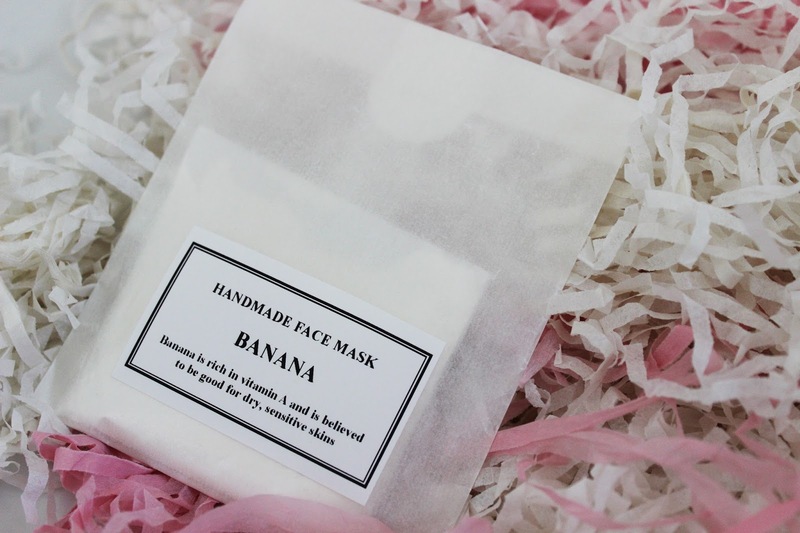 I was very impressed with the options of how to make the mask for example, mixing the powder with water, milk, yoghurt, aloe vera juice or fruit juice. I made a mistake with adding too much water which made mine runny however I did manage to use some on the back of my hand (not how you're supposed to do it, I know). Nevertheless, my hand did feel very soft afterwards! This is by far my FAVOURITE product! I have never been someone who uses candles, I'm much more of a candle hoarder where I buy them because they smell nice but never actually use them. (More because I'm too scared of the lighter) Thanks to my boyfriend being on hand and his assistance I was able to light this candle and I am so glad that I did! The smell is amazing. I am obsessed. It's such a gorgeous subtle smell. So far I have let the candle burn for around 2 and half hours and I have more than half left! Well chuffed with that. From the above photo you can see that I went all out and lit some vanilla tealight candles around the edge of the bath which I also strongly recommend as it made a perfect combination. - You receive full size products, no small testers! 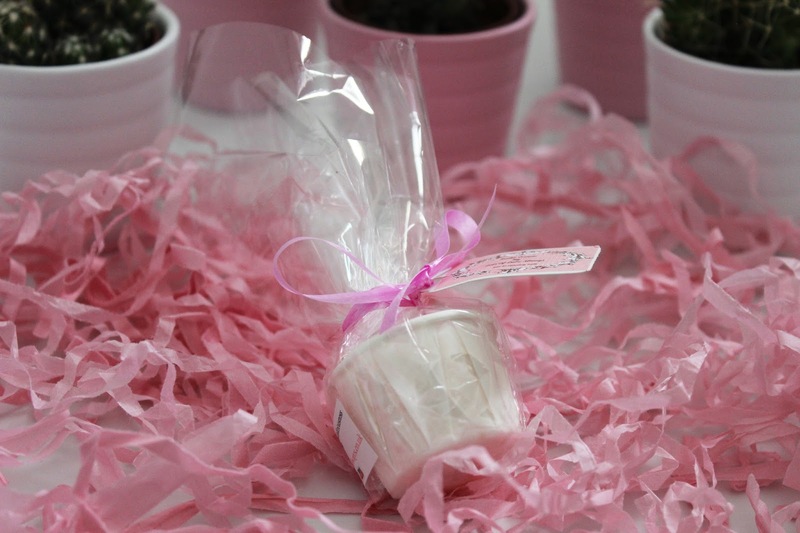 - Adorable packaging such as fruit washi tape, felt stickers and pretty pink streamers! - The lovely Ellie behind the company! Thank you very much for reading this super duper long blog post!